CallMe-T is a small-size, low-cost IP Audio Codec supporting Opus/G.722 audio coding algorithms with balanced stereo audio inputs and outputs on ¼" Jacks plus RJ45 Ethernet connectivity, now with USB Audio Interface. It is housed in a 108mm x 103mm x 44mm enclosure for table-top use whilst for larger installations, 4 can be mounted side-by-side in 1-U. CallMe-T (as in "ET - phone home") was originally designed as a low-cost hardware back-end for CallMe Click-and-Connect but as a result of customer requests for an add-on for ISDN Mixers to allow their use over IP, there are now two versions: CallMe-TS designed for standalone Studio use with remote control via its web interface and CallMe-TR designed for Remote use which has dedicated "Quick Dial" buttons to make and disconnect calls to other codecs - in addition to the web interface. CallMe-TS Studio Codec has been designed as a hardware back-end for CallMe Click-and-Connect™ - Vortex's internet codec service which lets guests and reporters send high-quality low-delay audio back to the studio without the need for them to have their own IP codec or download special software. Apart from CallMe-TS, CallMe Click-and-Connect™ is of course compatible with most IP Audio Codecs too. CallMe-TS has balanced stereo inputs and outputs on ¼" Jacks plus RJ45 Ethernet connectivity, now with USB Audio Interface. CallMe-TR is housed in the same small desktop enclosure as the CallMe-TS Studio Codec but additionally has four "Call" buttons on the front panel that provide eight "Quick Dial" connections - 4x single-button Analogue to Digital and 4x shifted buttons A-to-D and a single "Drop" button to disconnect. It has been designed as a simple, reliable IP Audio Codec that can work alongside most ISDN mixers, allowing live 2-way transmission using IP. ISDN has for years provided the preferred method for sending high-quality audio using publicly-available connections. The data path is circuit-switched and not shared with others and the consistency - and delay - of end-to-end connectivity is assured. However, many providers of ISDN have increased prices and have already announced that the service will cease, forcing the inevitable move to IP audio. 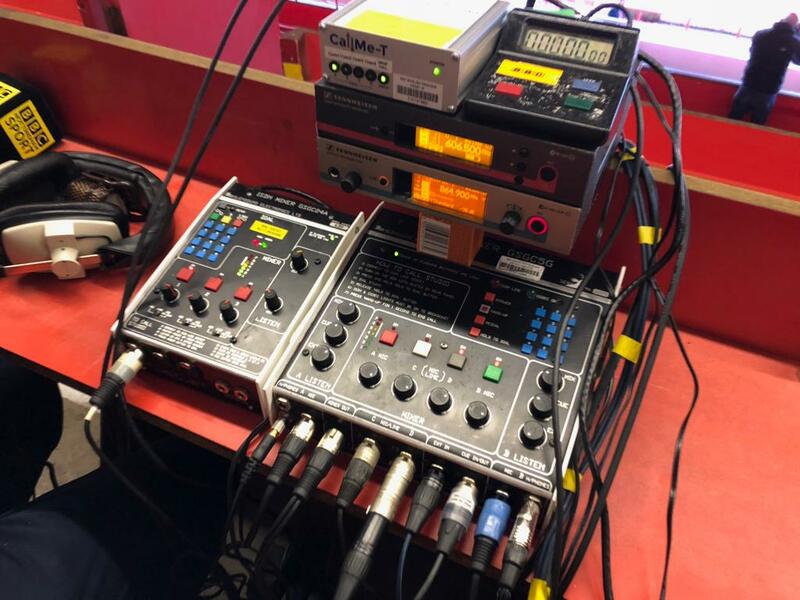 Over recent years, using IP Audio Codecs and the Public Internet for data connectivity has shown itself to be extremely flexible and reliable, allowing live broadcast from pretty well anywhere there is an Internet connection. Coupled with careful management of streamed data over what is a packet-switched connection, stable, reliable low-delay audio is no longer in question. On the other hand, there is a very large installed base of ISDN mixer-codecs from various manufacturers where the audio mixing and cue capabilities are well-understood and liked but these are only able to connect to the studio using ISDN. 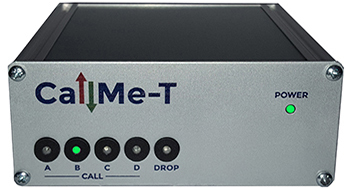 CallMe-TR has the same capabilities as CallMe-TS but additionally has programmable Quick Dial buttons on the front panel to avoid the need to use the web interface. It supports Opus/G.722 audio coding algorithms with stereo audio inputs and outputs on ¼" jacks plus RJ45 Ethernet connectivity. Two cables are needed to connect to the ISDN mixer; balanced audio from the codec plugs into the Cue input of the mixer and the Mixer Output connects to the audio input of the codec. As a hardware codec, CallMe-TR provides improved reliability and robustness compared with using software devices, making it the ideal IP connectivity solution for the hundreds of ISDN mixers still in use today. CallMe-TR has the same web interface as CallMe-TS Studio Codec, providing complete flexibility to manage connections. Multiple CallMe-T codecs can also be controlled and monitored using MCC Multi-Codec Control. USB Audio connectivity is now included in both versions of CallMe-T allowing direct connection to an external soundcard or mixer – or indeed just a USB Headset. This opens up a large number of additional opportunities not only for Outside Broadcast but for Voice-Over Studios and Journalists working from home where, until now, ISDN has been the norm. Now, all that a contributor needs is a cabled internet connection (which can be to a MiFi for mobile connectivity) a USB Sound Card, Headset or Mixer – and a CallMe-T.
Level: Line, 0dBu nom., 24dBu max.